How Long Does a Radiator Last? Your car’s coolant system is vital to ensure that the engine stays within operating temperature limits and does not overheat. It’s comprised of several different components. The radiator is the largest, but there are others, including the upper and lower radiator hoses, the coolant reservoir, the water pump, the thermostat and more. The radiator’s job is to help remove heat from coolant after it has cycled through the engine. Heated coolant flows through the radiator, and moving air wicks away the heat before the coolant is sent back into the engine to complete the cycle again. Without a working radiator, your engine would quickly overheat, possibly causing catastrophic damage. Your car’s radiator does have a limited lifespan, but there’s no set number of years. A lot will hinge on how well you maintain the coolant system. If you have your coolant drained and filled regularly, and never run straight water in the radiator, it should last for a long time (for at least a decade). Saying that, your radiator can be damaged in a number of ways. If too many fins are flattened or folded, it won’t be able to properly do its job. It can also be damaged by rust (if you use plain water rather than a coolant/water mixture), and it can be gummed up by sludge from an improperly maintained coolant system. Your radiator is working any time the engine is running. This is because coolant constantly cycles through to prevent overheating. It’s still technically on the job even when the engine is off, too, as it holds a significant amount of the coolant in the engine (in conjunction with the reservoir). 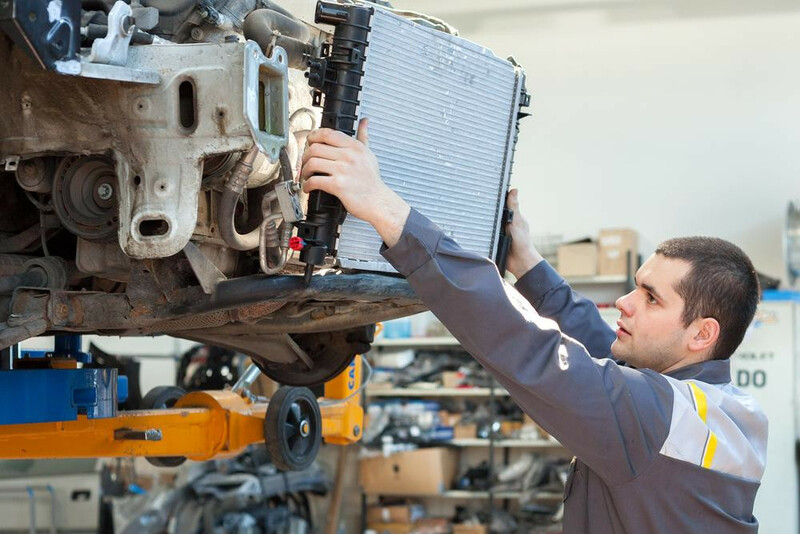 If you suspect your radiator is failing, a certified mechanic can help inspect the radiator, and replace it if necessary. Q: Whats the Best way to fix or replace radiator support?